They are the last hatch of the fall. The first hatch of spring. These tiny little bugs are kind enough to float for long stretches on the river, allowing trout to sip them down like a fine wine. Beginning with the flash of silver below the surface, followed by a porpoising dorsal fin, finishing up with the slurp of the adult, a Baetis hatch is a pleasure to watch. 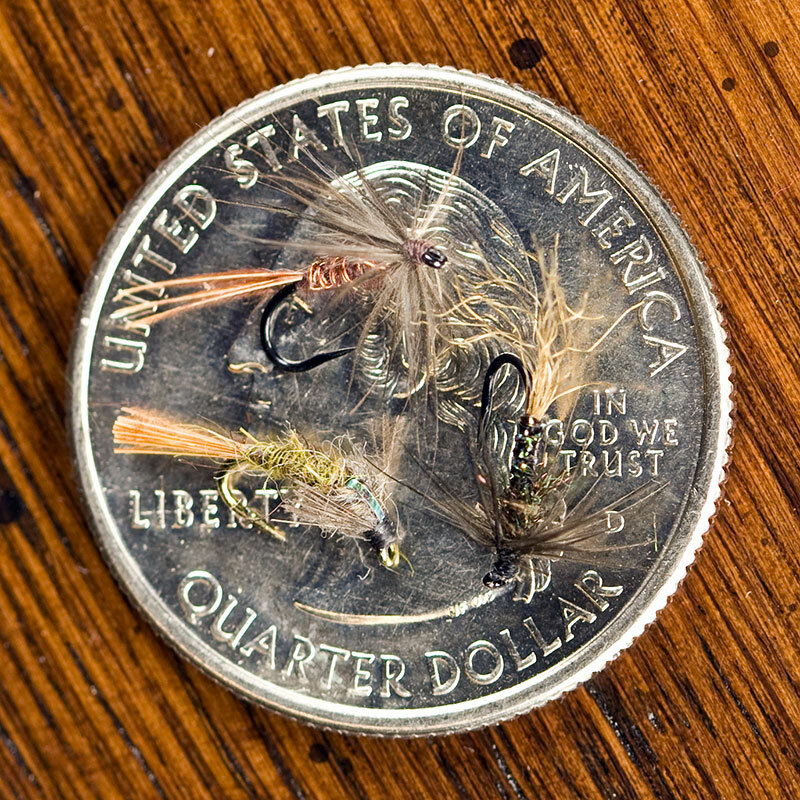 If you ask people their favorite fly for BWO hatches, you will undoubtably get lots of votes for tiny parachute Adams and pheasant tail nymphs. Most of the time these two flies will do the job. But these little bugs tend to show up on slow stretches of rivers. Even with tiny flies that are good imitations, you can get wonderfully, frustratingly finicky fish. Of course in slack water, even microscopic drag is enough to cause fish to ignore your offering and take the next natural to come by. So fine tippet and careful presentation is mandatory. The first time I fished a Baetis hatch was on the upper section of Montana’s Rock Creek. Well above the crashing currents and huge boulders, the creek winds through meadows. Perfect for a beginning fisherman like me. I had started fishing just two years before. Every fish was a new experience. Every fly was new and exciting. A 40 year old babe in the woods, literally. I had already experienced the joy of fishing a hatch with no clue what was going on. And fishing a hatch where it didn’t matter what I tied on, because they were just going to laugh at my fly. But at this place and time, I recognized the hatch and new what to use. And I even caught fish. It was quite a thrill. These three flies are my favorites for Baetis hatches. I fish them behind a size 18 parachute Adams (where two-fly rigs are allowed). I usually start with the Kryastal Flash Baetis. If that doesn’t work, I think about the drift. I make certain that the fly approaches the fish with slack tippet. Often the hatch occurs in a pool with swirling currents. But if I have gotten good drifts and still no takers, I switch to the simplified pheasant tail. And if still no takers, the Barr’s Emerger. If you ask me why that order, I just happen to have a reason. Actually two reasons. The Krystal Flash pattern is tough. It will take a lot of fish before it must be retired. That saves me time during a hatch. The second reason is that the Barr emerger, although a great fly, is a slow fly to tie. A lot of steps to put it togeter. When tying small flies, the fewer steps the better! In the next three posts I will feature these flies.